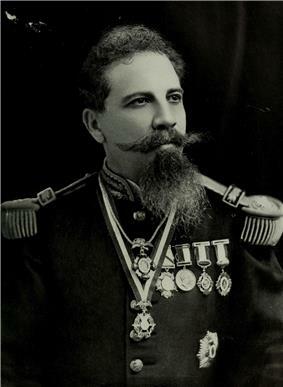 Bernardo Reyes (August 1850 – February 9, 1913) was a Mexican general and politician. Born in a prominent liberal family in the western state of Jalisco, he served in the army, rising to the rank of general. Like his political patron, General and then President Porfirio Díaz, Reyes was a military man who became an able administrator. Reyes was one of the state governors that Díaz appointed, serving as governor of the northern state of Nuevo León. He implemented Porfirian policy, particularly eliminating political rivals, but also building his own power base. He helped in the modernization of that state, enabling local industrialization, improving public education and health, and supporting improvements in the lives of workers. While governor of Nuevo León, Reyes approved a workers compensation law. Followers of Reyes were known as Reyistas. ^ Alan Knight, The Mexican Revolution, New York: Cambridge University Press 1986, vol. 1, p. 49. ^ Knight, The Mexican Revolution, vol. 1, p. 49. ^ Knight, The Mexican Revolution, vol. 1, p. 52. ^ Scheina, Robert L. (2004). Villa: Soldier of the Mexican Revolution. 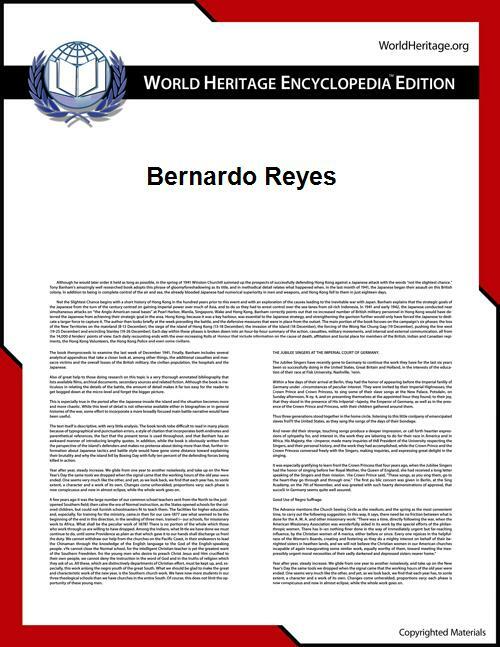 He was the father of the writer Alfonso Reyes, and grandfather of the painter Aurora Reyes. On 9 February 1913, Manuel Mondragón's forces freed Reyes from prison. Then, they marched on to the National Palace in the beginning of the Decena trágica. Reyes was killed in the initial assault on the palace. For a time Reyes was a supporter of Madero, but he later led the first rebellion against Madero. After this rebellion failed, Reyes was imprisoned. Together with José Yves Limantour, he was considered as one of the potential successors of Porfirio Díaz. With Francisco Madero's latter challenge to the dictator in the 1910 elections and, afterwards, initiation of the Mexican Revolution, previous notions of who should succeed Díaz were discarded.